One of my New Year’s resolutions was to learn how to sew, so shortly after the New Year I went out and bought a sewing machine so that I would have no excuse but to tackle this ever-so-daunting task. I wasn’t planning on making clothing from scratch, but rather transforming existing pieces and turning them into new treasures. 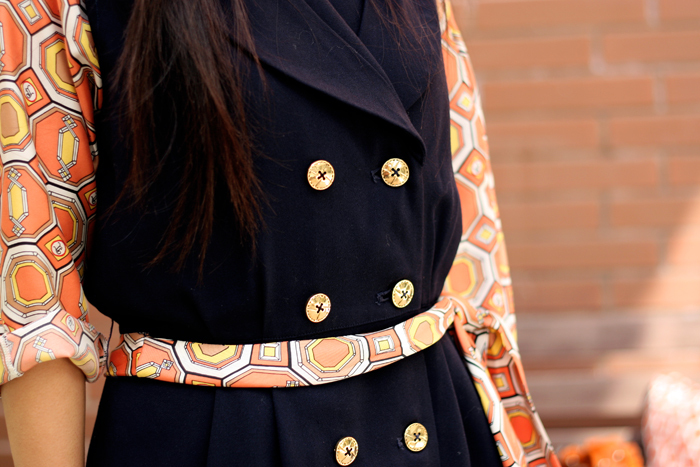 A DIY-er’s dream is to refashion and upcycle goodies; mine is no other. So last week, I took a trip to Value Village – the thrift superstore – in hopes of finding some super cheap and super chic pre-loved items! I spent about an hour in the store – there was so much to look at and so much to see! I’m not a usual suspect when it comes to thrift shopping, so I was very overwhelmed by the wide variety of items at the store, but at the same time, full of excitement. I had my mind set on finding an old blazer and transforming it into a chic blazer vest by removing its sleeves. I couldn’t find exactly what I was looking for, but definitely close! 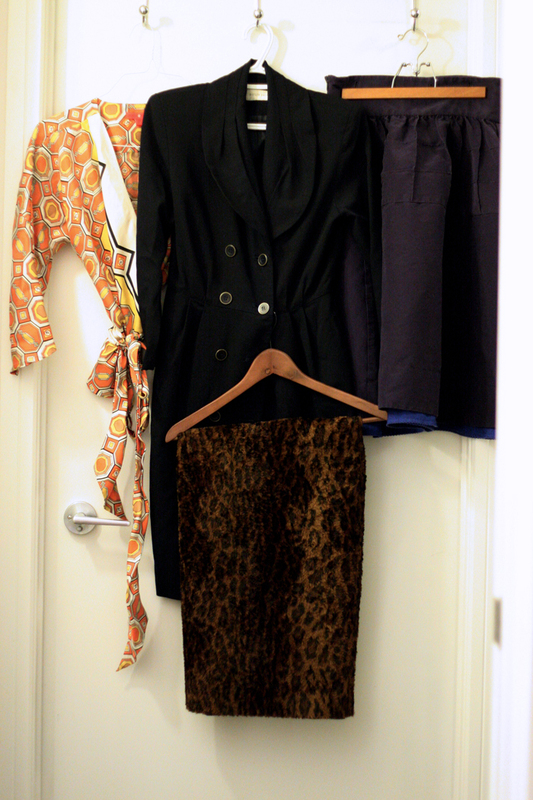 From these 4 items, I came up with endless possibilities for transforming them into new (and once again loved) pieces. I was able to test out my sewing skills on some of these pieces. Remember to wash all your items before you start working on them. I converted two looks from these thrifted items at Value Village. What do you think?! Silk Wrap Top: I removed the wrap straps from the top and sewed the ends of the strap to create a belt for the dress. The top has also now been transformed to a kimono top! All I did was belt this skirt and pair it with a top that matched the skirts’s lining. I love this look and think it’s so cute for a wedding! I haven’t done anything to the leopard skirt yet, but my idea is to shorten the skirt because it is incredibly big on me and to use the excess fabric to create a leopard fur fold-over clutch. I will be sure to share the step-by-step with you soon! I am so glad I stepped into Value Village to find these amazing picks. There are so many Value Village locations across Canada, the U.S., and Australia, each carrying a different assortment of clothing and items. I will have to make a trip to several different ones to find my favourite stores! If you are a regular thrift shopper, please share some of your tips and tricks with me! I’d love to hear from you and I’m sure fellow readers would, too. Introducing Value Village – the thrift superstore! Find thousands of quality used clothing items, housewares, books and more…at amazing low prices! You’ve got to see it to believe it! Disclosure: This post was brought to you by Value Village via Glam Media Canada. The opinions expressed herein are those of the author and are not indicative of the opinions or positions of Value Village. Help!! Which Blush Bag Should I Choose?! great finds, love the blazer dress, looks gorgeous on you! The refashions look FANTASTIC! I love the silk wrap dress so pretty!